© Darryl Orom. All rights reserved. 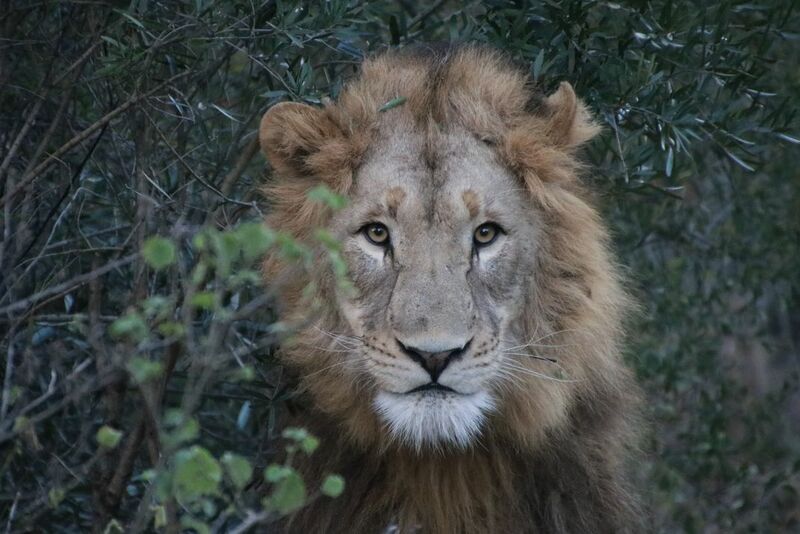 While on my first Safari in Africa, I had the incredible good fortunate to come across two large male lions near Mkuze Falls in KwaZulu-Natal, South Africa. One of these lions remained very still within a lush green bush. When I snapped the photo, I felt as though he was looking into my eyes in search of something. I truly felt a chill run up my spine. A life changing experience. Date Uploaded: Oct. 29, 2017, 9:47 p.m.